Funeral readings are part of every tribute or memorial service and can be written in different ways depending on the personality of those who have passed on. Traditional ceremonies will include religious or spiritual wording; however, there is also the choice of including non-religious pieces. 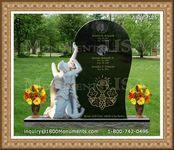 There are a number of ways to create a beautiful tribute to the departed. A reading is one of the best ways to deliver a message of sympathy and to say farewell to an individual you may have shared your life with. A service will involve religious aspects and requires a personal approach in paying your respects. 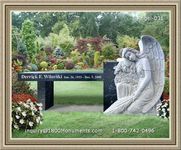 A number of memorable ideas and creative aspects should be considered for funerals. The speech will allow individuals to empathize with those who are experiencing the grieving process and to share in good memories of the deceased. It is important to consider the personality of the person who has passed on for a memorable tribute. Creative messages that do not include religious scriptures can be understood across ethnicities. The message can include a meaningful poem applicable to the life of the deceased. A popular choice is to use song lyrics that the individual may have favored and to use these to convey what the person meant in your life or how they had lived theirs. It is important to select words appropriately and to ensure that it meets with interests. 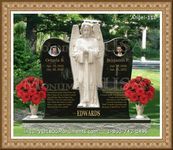 An online search can provide a number of suitable examples that can be delivered at a memorial service. The messages may be delivered based on a relationship that you had with the person and the positive aspects of their life or contributions. 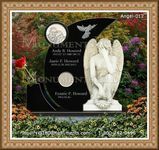 This will allow for the development of a personalized passage in memory of the deceased member. When looking to write funeral readings it is important to consider the meaning that it will convey. There are examples on the internet including poems and songs. The family and close friends should be taken into consideration.